I’ve bought some new books (yuy) and today some arrived! The first I’ll share with you I bought on the advise of Jeroen. He mentioned this book as a interesting take on alternative processes as opposed to the one I have used so far, the “Book of Alternative Photographic Processes” by Christopher James. 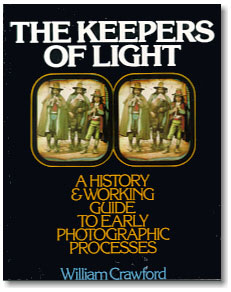 “The Keepers of Light – a History & Working Guide to Early Photographic Processes” is written by William Crawford and I bought my copy second hand from Amazon. The only thing I might ask prior to buying preloved books in the future is whether the former owner was a smoker… From what I’ve read so far it’s really well written, on top of that reads easily and contains a whole lot of precious information. I’m looking forward to reading more! 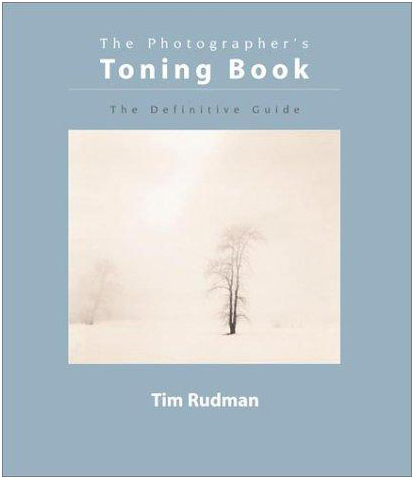 The second book I received today is “The Master Photographer’s Toning Book” written by Tim Rudman. I already planned on buying this and after a little chat with Thomas Bertillson on Instagram I decided to finally take the plunge and buy it. A nice anecdote from the website of the seller: “Since this book sold out both UK and US editions and the publisher decided not to reprint for such a niche market, it has been commanding crazy prices for second hand copies on the internet. The highest reported was on Amazon for $999.99. Whilst this is clearly unusual the book is regularly advertised for several hundred $s or £s. For the last few years there has been a rising demand for a reprint at cover price – and at last, here it is. The rights have now reverted to the author, Tim Rudman, and in collaboration with Silverprint Ltd of London he has arranged a reprint from the original files by a printer that will give the same high quality production as the original. Despite inflation since this book was first printed in 2002 the cover price currently remains at £25.” Anyway, I thought that was funny 😉 I’m still awaiting two more books, hope they”ll arrive shortly! This entry was posted on April 18, 2012 by Contrastique. It was filed under Books and was tagged with books, keepers of light a History & Working Guide to Early Photographic Processes, the master photographer's toning book, tim rudman, william crawford.